It was about time somebody said that! 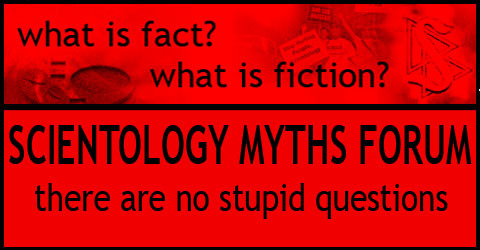 In this guest post, Vicki Dunstan of The Church of Scientology takes issue with an article it believes puts the church in the same category as alcohol, cigarettes and gambling advertising. I read Robin Hicks’ article “Selling the bad stuff”, which questioned whether ad agencies should choose morals over money in the clients they work with, in shocked disbelief. Mr Hicks offers the spectacularly disingenuous caveat: “We’re not suggesting the Church of Scientology is an evil client”. The whole tone of the article is one of prejudice and vilification. It drips with sanctimonious bigotry. Look, I understand what Hicks is discussing here: where do agencies draw the line in terms of whom and what products they will promote? It’s an interesting and important debate for any industry to have. But why choose Scientology as a benchmark? We are a new religion. Yes, we attract some unwanted attention – often driven by ignorance and fear of the unknown. We don’t sell a product that is addictive, destroys health or causes cancer. Quite the opposite. Many thousands of Australians have found Scientology equips them with the tools to negotiate their way through life and live happy and fulfilling lives. Scientologists donate hours of their time educating young people of the dangers of illicit drugs, standing on street corners in the rain; attending music festivals in blistering heat, handing out booklets that warn of the perils of drugs like cocaine, marijuana and ecstasy. They go to disaster spots to offer assistance to those affected by tsunamis, earthquakes, bushfires, tropical cyclones and floods. Often it is mundane, dirty, hard work. Sometimes all they have to offer is a friendly ear or a shoulder to cry on. Newly arrived families from war-torn parts of Africa receive English literacy lessons delivered voluntarily by Scientologists. The Church of Scientology funds Youth for Human Rights, a group of volunteers – many non-Scientologists, who promote the Universal Declaration of Human Rights. Teaching students that people can’t discriminate against them because of their religion, race or sexuality. Scientologists have uncovered the worst excesses of psychiatric abuse. The horror that was Chelmsford Hospital’s deep sleep therapy was uncovered by Scientologists who campaigned to bring these criminal psychiatrists to justice. Michael Abdul says he wouldn’t work for the Church of Scientology because he is a Christian. Does his bigotry exclude other non-Christian religions? Does he follow the Christian tenet “Do unto others as one would have others do unto you”? An unidentified female PR executive won’t work with the Church of Scientology because she is Jewish. Yet I know Scientologists who are also Jewish. And I would have thought someone of her background would recall what bigotry and ignorance has done to her own people. Our founder L Ron Hubbard was a life-long promoter of the Universal Declaration of Human Rights, created in 1948 in a direct response to the atrocities of the Second World War. The Church continues his work today. Perhaps the female PR executive should rethink her attitudes. Hicks writes “having morals can be good for hiring the ‘right’ sort of people”. So does that mean anyone who works for Scientology is immoral? How so? Morality is of course highly subjective. For example, how would readers describe someone who hears allegations of illegal behaviour, but instead of reporting them to the authorities or meeting the accused to hear their version of events, they choose to hide behind parliamentary privilege and repeat the unproven and uninvestigated claims so as to publicly slur the name of the accused? And what would readers think when – after all the allegations are finally reported to the authorities and no one past or present is found to have broken any law or regulation – the man who hid in his cowards’ castle says nothing to correct the record? Doesn’t apologise. Lets his stinging slurs stand in the public arena, while he remains comfortably immune from civil court action because of his privileged position. That’s what Senator Nick Xenophon did to the many Scientologists here, not to mention abroad. Smeared them and walked away. That’s what I’d call immoral. That’s what I would call “bad stuff”. If ad agencies avoid controversial clients – perhaps that’s a reflection of their lack of faith in their own ability to get their message across. But don’t label us what we are not. Scientologists are people of good will, simply trying to make the world a better place. Ideal 2013 Has Started :) March 13: L. Ron Hubbard’s Birthday!